Both Dissolution and Divorce cases in Ohio require both parties to fully disclose all of their assets and liabilities. It is best to gather all the information you can regarding your assets and liabilities at the start of the process so that you can identify all accounts, debts, and property that will need to be addressed in the termination of your marriage. In nearly all cases, the attorney or attorneys involved in your dissolution will want to see these documents in order to verify the existence of the assets or debts and the amounts or values. 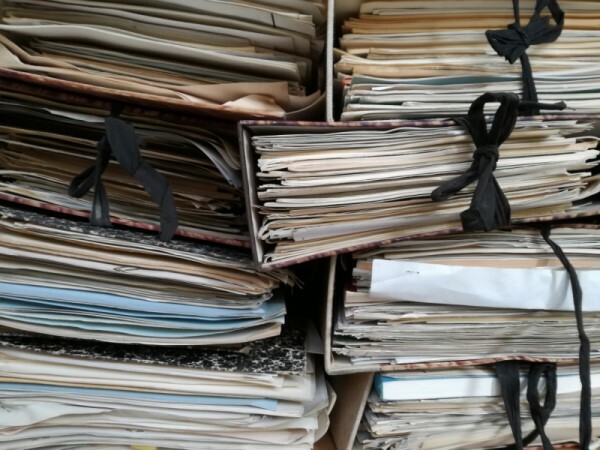 YOU CAN SAVE YOURSELF A LOT OF TIME AND MONEY BY HAVING THESE DOCUMENTS COLLECTED AND ORGANIZED BEFORE YOU EVEN MEET WITH THE ATTORNEY. The list of documents below provides key information for your attorney and your spouse’s attorney that will enable you to negotiate a settlement of the financial and property issues in your dissolution or divorce. Additionally, many courts have a mandatory list of mandatory disclosures that must be made by both parties in the case, so having these documents from the start will enable you and your attorney to satisfy the Court’s required disclosures early in the case. Check your court’s website to see if they have their mandatory disclosure list posted. Credit reports from all three reporting agencies (annualcreditreport.com). All documents verifying present gross income, as defined by R.C. 3119.01 and any employment contracts. All documents regarding stock options, restricted stock units, and any deferred compensation, owned or owed to either party, whether vested or unvested. Any appraisals and financing or refinancing applications regarding real estate owned by the parties. The latest retirement account statements showing present value for all retirement benefits and accounts (IRAs, 401 (k)s, 403(b)s, SEPs, Keoghs, Pensions) and information regarding any loans against retirement accounts. As to business interests of either party, all tax returns, with all schedules and financial statements. Itemization of household goods and furnishings with an opinion as to fair market value. All other assets (including but not limited to: judgments, airline miles, gift certificates, deferred compensation, unused vacation or sick pay, etc.). If you are claiming your spouse dissipated assets, all documents evidencing the dissipation. If either party has transferred funds or property with value of $500.00 or more to someone other than spouse or creditor, and all documents evidencing the same. If there is a claim of separate property interests (premarital, inherited, or gifted), all documents substantiating such claims, as well as tracing documents. Current Social Security Statement (including record of earnings and summary of estimated benefits). All Chapter 7 or 13 bankruptcy documents if bankruptcy was filed during the last seven (7) years. If previously divorced, any divorce decree, qualified domestic relations order, or other court order which enforces a present or future obligation on a party (including maintaining beneficiary designations).